Another happy beauty memory with my mom — spa day at the Ocean Pearl Spa in Carlsband, California. I never considered my mom a vain person. She didn’t wear much makeup — a dash of eyeshadow, perhaps, when she was younger, and some lipstick when she went out — and she always dressed neatly but never particularly fashionably. Much of this, of course, was all judged through a teenage lens — a teenager whose introduction to personal style was the more-is-more fashion era of the ’80s. My hair was appropriately poufed and permed, my eyeliner a pre-cursor to the downturned “puppy eye” eyeliner look preferred by K-pop stars today, and my nails always manicured and so long, I used to pierce my accent nail with a tiny gold hoop. 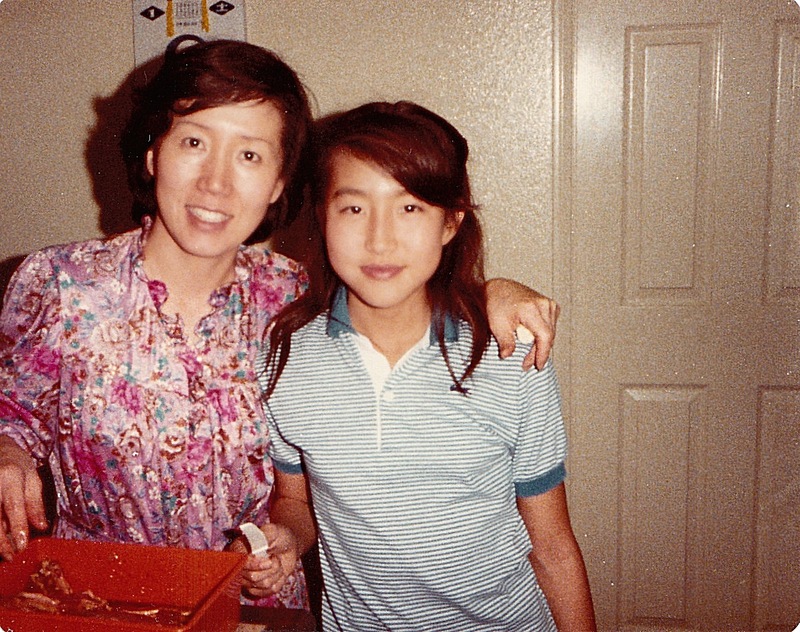 With a look like that, it was no wonder my mom’s style looked downright staid in comparison. But as the years went by, I realized that what I had mistaken for a lack of vanity was actually a focus on natural beauty, really good skin care and a concerted effort to look polished and classic. As it turns out, that focus on skin care is exactly what all the magazines are now touting as the fundamentals of Korean beauty. And the whole no-makeup look? What’s coming down the runways today. Apparently, my mom was just ahead of her time. Two natural beauties: my mom, who focused on skin care more than makeup, and me, just ’cause I’m too young to wear makeup here. Stay out of the sun: Yeah. My proliferation of sunspots and I could kill my tan-loving, 16-year-old self, the one who would bake all summer with baby oil. Thanks for nothing, self. Pat gently: When I would rub and smear my moisturizer on, my mother would plead, “Sal-sal!” (which means “gently” in Korean). I didn’t start patting anything in until the last few years, when K-beauty made it trendy. Once again, thanks a lot, self. Wash your face at night: Oh, when I think of all the nights when I would sneak back into the house, not washing my face for fear that the sound of the faucet would wake my dad, and just go straight to bed. I can practically see every enlarged pore and fine line for each night I committed this mortal sin. My mom here is a little older than I am today, and she looks waaaay better than I will at that age. 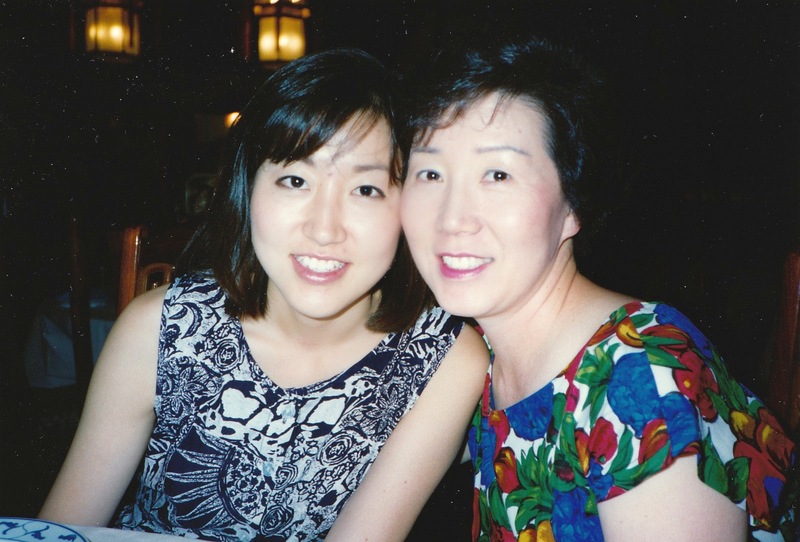 My mom was the one who introduced me to regular facials, taking me to her Korean facialist for the two-hour massage and double masking sessions. Sure, I was only 20-something, but like most Koreans, she considered facials as important to skin care as washing your face every night. (To this day, I still go to the same spa for my bimonthly facials.) And of course, shopping at the Estée Lauder counter with my mom every time the brand offered a free gift with purchase (which felt like practically every month). We’d excitedly peruse lotions and creams and serums and lipsticks to see what combination of products we could buy to meet the requisite threshold to qualify for the gift. It engendered in me a love of the brand, and to this day, I have a soft spot for Estée Lauder, its gilded tubs and bottles a reminder of my mom’s skin care-laden vanity. So while I don’t have kids of my own, I find myself invariably passing down my love of beauty to my nieces. My oldest niece is a pro at applying lip gloss, having played dress-up with me for years. I’ll let them practice applying 5-free nail polish on me, even though more ends up on my cuticles than my nails. My second niece reiterates this motto whenever I try to work out the tangles from her hair: “Beauty is pain!” And I cringe when my nieces show up super-tanned from swimming lessons, ranting about the dangers of the sun like my mom once did. Will they appreciate it one day, the way I now appreciate my mom for all her beauty influences and many happy memories? I definitely think so. Sure, it may be when they’re 40, but they will.